Are whitening toothpastes right for me? In today’s world, whitening your teeth is often seen as important as putting on makeup or fixing your hair. Although a person’s teeth naturally yellow over time, natural teeth aren’t as commonly seen as they once were. This fact is especially obvious in the toothpaste aisle. It is now difficult to find a toothpaste on the shelves that does not contain whitening ingredients. But are whitening toothpastes really good for your teeth? While whitening trays and strips work by soaking the teeth in bleaching agents, whitening toothpastes must work faster. They rely on abrasives, normally hydrated silica, to rid the teeth of surface stains. Unlike trays and strips that can bleach deep within a tooth, toothpastes can reach only the surface. Even toothpastes that also contain a bleaching agent just clean the surface, since the bleach does not stay on the teeth long enough to clean below the surface. Although whitening toothpastes can be effective, they can also create problems. Hydrated silica can wear away enamel over time and expose the yellowish dentin underneath. We often see grooves worn into teeth at the gum line that can require composite fillings to restore. The instances of this problem have increased since whitening toothpastes became more popular. A more effective form of whitening is the use of high potency whitening gels, but even this method has challenges. The bleaching agent used in whitening gels, hydrogen peroxide, is most effective when it has been refrigerated from the point of manufacturing to application, so many over the counter trays and strips can lose effectiveness on the shelf. In addition, optimal whitening with trays occurs with a precise tray fit, so that saliva is prevented from interfering with and breaking down the peroxide. A whitening tray design that prevents loss of whitening gel from whitening trays, and at the same time prevents damaging saliva from entering the whitening tray, will result in a much longer duration of whitening activity. The whitening trays and gels we use in our practice can provide 6+ continuous hours of active “oxygenation” removal of stains from within the microstructure of teeth, resulting in rejuvenation of tooth structure and a whiter smile. 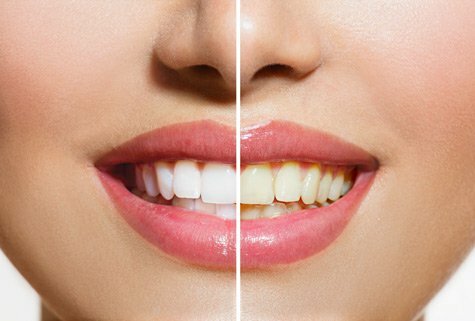 For more information about our whitening services, visit our teeth whitening page.